Jennifer Taub - Part 2: I think we need to look at the banking system and say: if our government is providing support, either through the FDIC or through the Fed, which when it engages in printing money obviously affects the economy and the value of goods and services, if a bank has that, they obviously areâ€”this is a government banking system. PAUL JAY, SENIOR EDITOR, TRNN: Welcome back to The Real News Network. I’m Paul Jay in Baltimore, and we’re continuing our discussion with Jennifer Taub. Jennifer is a law professor at the Vermont Law School. And she joins us now from the PERI institute at Amherst, Massachusetts. Thanks for joining us, Jennifer. JAY: So, Jennifer, picking up where we left off, they say they’ve passed regulations that can mitigate or prevent too-big-to-fail. But the top companies are at such a scale that it seems like it’s impossible to conceive they would actually allow one of those major firms to go down. And two, there’s no reason to think it’d be only one. They all usually get involved in similar kinds of risky behavior at the same time, and when the system starts to freeze up, they all get affected. It’s not just one institution that’s going to have to be wrapped up. TAUB: So, you know, to respond to that, yes. In title 2 of Doddâ€“Frank, there is a new kind of what’s called resolution authority provided. And I think that’s very praiseworthy. But there is a big question as to whether the regulators will use this authority and whether it will be too late when they use it. And what it provides that was notâ€”it provides some tools that regulators didn’t have when Lehman failed. And at that time, the thought was that either Lehman would go into the bankruptcy that it did, or the other choice was that Lehman would be bailed out. The reason why the regulators thought they’d face that choice: because at that time, holding companies, investment banks, as opposed to traditional banks, were not able toâ€”they were not under the jurisdiction of the traditional banking regulators. So unlike a situationâ€”for example, Washington Mutual, the parent holding company, went into bankruptcy, and the bank beneath it was put into FDIC receivership and then sold to JPMorgan Chase. That was not something that could be done in the context where there was a firm like a Lehman or a Bear where they did notâ€”they weren’t considered to be a bank, right, regulated by the banking regulators. So now the regulators have that authority. But, you know, again, the big debates are whether that willâ€”whether the regulators will have the courage to do that when they have notâ€”when that will really depend upon who theâ€”a series of different choices. There are many different checks along the way before the FDIC would be able to do that. And others question whether, given the international context and operations of these banks, whether it will be any less messy than Lehman. And so there are people, including Richard Fisher, who’s president of the Dallas Fed, as well as Tom Hoenig who was formerly president of the Kansas City Fed and is now on the FDIC board, who want to, you know, size down these banks now. They’re looking for reducing the size of banks. Some have different ideas whether it should be sheer size or along product lines, but many experts in this area think we shouldn’t wait until that moment of crisis to see whether title 2 will work, but we should instead protect the economy and protect the system by requiring the banks to become less complicated right now. JAY: Well, what we’ve seenâ€”at least I think we’ve seenâ€”when it comes to trying to implement Doddâ€“Frank and other kinds of regulation: either the banking lobbyists either wrap these regulators around their finger in thousands of lobbying meetings where they’re able to water down the rules that would make the legislation effective, Congress defunds agencies so they don’t have enough people to implement the law, they seem to be able to either block serious legislation before it gets enacted or slow it down to a point after it gets enacted that it’s not that effective or meaningful. So if you agree with part A of what I’m saying, then what is part B, meaning, then what is the solution? I understand you’re involved with organizations, I think, SAFER, that fights for more regulation. I was told by Bart Chilton at the Commodity Futures Trading Commission that you guys are outnumbered something like 120-to-1 in terms of the number of meetings that he has to have with lobbyists who are against more regulation. Is it time to talk more about a public banking system, which is what some people are suggesting? TAUB: Well, I guess a couple of thoughts on that. We can’t deny the influence that money has had not just on the political process but on the legislative process, and I don’t, unfortunately, see that changing anytime soon. I think that what a person can do when they’re outnumbered, though, is use their voice and look at the data. And there is another group that I help advise on a pro bono basis called Americans for Financial Reform, and they’ve been really incredibly hard-working from throughout the Doddâ€“Frank legislative process, and also as part of this ongoing implementation. Other really impressive groups include Occupy the SEC. And Occupy the SEC is an offshoot of the Occupy movement. And they did something very heartening, which was, in February of this year, when comments were due on the very important Volcker rule, which I’ll explain in a moment, the industry lobbying organizations put in their very lengthy comment letters, and then Occupy the SEC put in aâ€”submitted an over 300-page, very well crafted and supported and footnoted comment letter. And I do think that helped do a couple of things. It helped transform the Occupy movement, which had always been interested in drawing attention to the inequality associated with the bailouts. But it also helped transform the movement into people who were organized around changing the law beyond drawing attention to the problems, but also making those changes. And the Volcker rule is a precise example of delay and illusion. And so the Volcker rule isâ€”the word rule is used, but it actually is referring to a section of statutes, section 619, and this was put into the legislation when it was moving through the Senate. And it’s called the Volcker rule because President Obama announced his intention to have this concept incorporated into the reform law because he was advised by former Fed chairman Paul Volcker on this matter. And essentially what this part of the law is trying to do is to return, to some degree, to that Glassâ€“Steagal separation between utility banking and riskier investment banking. And whatâ€”the design of the Volcker rule is to basically stop those institutions, whether they’re traditional banks or other banks that now have the benefit of the safety nets of federal deposit insurance and the safety net of emergency loans from the Fed, to not allow those institutions to use those deposits in ways that put the support systems at great risk. And so this is designed to return to some of that separation. And the regulators were required to make a rule, a final rule, on implementing Volcker by this fall, and that final rule has not been issued. Part of the way the statute hopes to implement this or is designed to implement this separation is by forbidding those banks that have the benefit of the, you know, taxpayer and government safety net from doing things like running an internal hedge fundâ€”again, having a shadow inside of the bankâ€”or running what’s known as a proprietary trading deskâ€”and again, that’s sort of like having a hedge fund, hedging high-risk speculative activities using taxpayer-funded, taxpayer-insured deposits. JAY: My understanding is that the Volcker rule wound up getting so watered down that I thought even Volcker didn’t think it was going toâ€”didn’t approve of what the final result was. TAUB: So there’s two concerns. There’s what the Volcker rule and the statuteâ€”how it got diluted, and then there’s where it is now in terms of implementation. And certainly it got diluted. And toward the end of the legislative process, one of the individuals who helped water it down, because his vote was important to getting the bill through, was Republican Senator for Massachusetts Scott Brown, who was very involved in creating a number of loopholes in the Volcker rule in order for him to cast his vote so that a filibuster would not block the legislation getting to the Senate vote. JAY: So I go back to my question, which is: I understand the need to continue to fight for regulation and I know it’s an uphill battle and people are pursuing this with a lot of vigor, but does there not need to be more, at least, discussion about, if you want, another parallel banking system, which is a real public banking system? ‘Cause it seems that the power of finance is such, they can simply riddle holes through whatever comes at them. TAUB: I mean, I think we actually do. My view might be unique, but we actually do have a public banking system. In other words, you often hear people complaining that Fannie Mae and Freddie Mac wereâ€”you know, when they were government-sponsored enterprises, why that was an issue. Right now, every bank, especially the large ones that have the benefit of deposit insurance backed by the government, are government-sponsored enterprises. 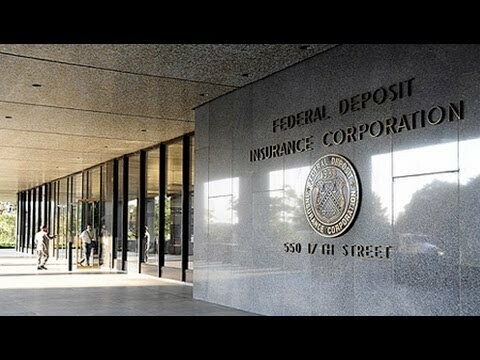 I think we need to look at the banking system and say: if our government is providing support, either through the FDIC or through the Fed, which when it engages in printing money obviously affects the economy and the value of goods and services, if a bank has that, they obviously areâ€”this is a government banking system. And we do need to return to structural controls, not simply regulation around the edges, but structural controls that recognize that that system, that those who engage in that system, either through taking those supports, or institutions in the shadows that are heavily interconnected, need to be under government supervision. And that is part of what Doddâ€“Frank is designed to do. Of course, the problem is that the implementation has been delayed, and therefore there has not been any kind of designation of any of the shadow banks as subject to regulation. Yeah, we’re again waiting for those designations. JAY: Alright. Thanks a lot for joining us. TAUB: Thank you so much.